The .380 ACP (9×17mm) was developed by John Moses Browning and introduced in 1908 by Colt Manufacturing Company for its Model 1908 pocket hammerless semi-automatic pistol. Browning’s new design was inspired by the .38 ACP which was manufactured for blowback pistols. The .380 ACP is light and compact, but has less stopping power and a shorter range than other modern ammo. Average .380 ammunition is an 85-95 grain bullet measuring .380 inch in diameter. The round is rimless, straight-walled, and equipped with low-pressure percussion caps. Despite its shortened range and stopping power, the .380 Auto remains a favorite among those who want a small pistol for concealed carry and/or personal defense. In 1912, .380 ACP cartridges were introduced in Belgium, where they adopted the moniker “9mm Browning Short.” The cartridge remained popular throughout World War II. The round was also used by military forces around the globe until many replaced it with the more popular 9mm cartridge. The .380 was used by European police forces until the 1980s when it was abandoned in favor of the more powerful 9×19mm Parabellum. The parameters of the .380 make it ideal for use in a backup weapon such as a clutch piece. Other names for .380 ACP Ammo include 9mm Browning, 9mm Browning Court, .380 Auto, 9mm Short, 9mm Corto, 9mm Kurz, and 9×17mm. The .380 ACP shouldn’t be confused with .38 ACP, the ammo from which the bullet was developed. 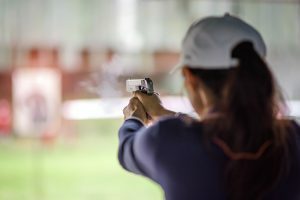 When it comes to range training, choosing the best ammo should be relatively easy. The first thing that shooters tend to look for aside from the appropriate cartridge is the price. It’s easy to shoot through hundreds or thousands of rounds in a short period of time. Buying in bulk at discount prices will keep you shooting long after the less savvy shooters have gone home. Following is a list of rounds that will serve you well, offering reliability and accuracy at a fair price. Blazer is gaining a solid reputation for use in range training due to its reliability and affordability. Used mainly on the range, this cartridge is ideal for shooting paper targets. The cartridge is constructed using brass casing and is Boxer primed so it’s easy to reload. The Federal American Eagle brand is well-trusted among firearms enthusiasts. The brand is known to be well-made, offering reliability, durability, and accuracy on and off the range. Using brass construction and Boxer priming, it is easily reloadable to enhance the savings. Winchester is a top name with firearms enthusiasts due to its value and consistent performance. Buying in bulk keeps the price down and because it’s reloadable, it’s the ideal .380 ammo for the range. Recently acquired by the same company that produces Magtech ammo, Sellier & Bellot continue to make .380 ammunition using high quality components. Their FMJ cartridges are a top choice among law enforcement agencies, hunters, and competitive shooters. 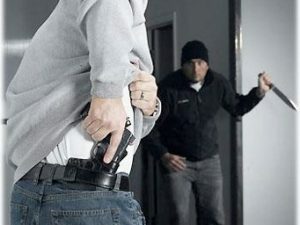 Many people looking for a small weapon to carry concealed look toward the .380 ACP for its weight and size. It makes enough of an impact to stop the threat, animal or human, yet not weigh you down. PMC (Precision Made Cartridges) bronze cartridges are popular due to their affordability and consistency. They provide an excellent feeding system to prevent jamming and failures. Because the rounds are manufactured in-house, they remain uniform. The brass casing and Boxer style priming allow for reloading up to five times. Federal Premium is the company’s top seller and with good reason. The 180 grain Hydra-Shok JHP was introduced in 1989 and has remained at the top of the list by many experts as the best 10mm ammo on the market. Rigorous testing has ensured that Hydra-Shok loads perform consistently and accurately. Magtech First Defense Guardian Gold is a jacketed hollow point round. The .380 +P refers to overpressure and should be considered when choosing the weapon with which you intend to use it. Magtech has a solid reputation for manufacturing consistent and reliable rounds which is exactly what you need when being confronted by a threat.